YOU MIGHT NOT THINK of India as one of the top ecotourism destinations, but there are a growing number of ecotourism destinations, eco tour operators, eco lodges, sustainable homestays, responsible wildlife sanctuaries, and other responsible tourism and sustainable travel operators in the country. The benefits of ecotourism are becoming apparent to many – from both the environmental and ethical tourism viewpoint as well as the economic. What is responsible tourism and sustainable travel? Responsible travel is about travelling in a way that ask us to consider the impact our travel choices have on the environment and local cultures. Ideally, our choices have a positive impact. They support local communities and do not degrade the environment. We might take less flights and more trains, for example. We might stay at a locally owned homestay and spend our money in businesses, such as shops and restaurants, that are locally owned – keeping the money in the local economy. We carry reusable bottles and fill them with filtered water, rather then buying and toss plastic bottles. And we are concerned with the ethical practices of the companies we patronize and make sure they don’t engage in things like elephant riding or tiger petting zoos that contribute to animal cruelty. Read a Primer on sustainable travel on Greenmatters. Find out What is ecotourism from Green Global Travel. On a walking safari with Vanghat in Corbett buffer zone. Travelling responsibly also means showing respect to the local culture. In India, it means things like ensuring that your shoulders and legs are covered, and taking your shoes off, before entering a place of worship such as a temple. It means taking the time and effort to understand the local culture, observing the customs and etiquette, perhaps learning a few words, and talking to local people to dissolve barriers. There is a great potential for responsible tourism practices to have a positive impact on global issues, help promote peace, alleviate poverty, and preserve biodiversity. Studies have shown that well-managed community-based tourism and wildlife tourism do have a positive impact. 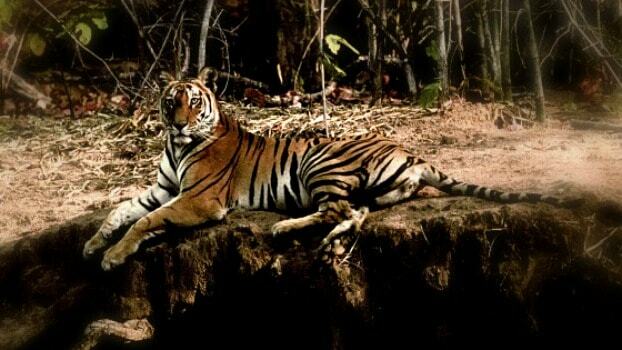 Here’s one from TOFTigers about tiger tourism and how it contributes to tiger conservation. Today, we all must travel responsibly to ensure the natural and cultural wonders of our planet are preserved. I hope to inspire people to try new more culturally immersive and mindful ways of travelling that are ultimately more personally rewarding. Offering green tourism options that inspire tourists to get off the well-travelled path helps reduce over-tourism concerns and can help develop local economies – not to mention give visitors an authentic, immersive cultural experience, and an unforgettable travel memory. Sure, I remember going to the Taj Mahal in Agra and Amber Fort in Jaipur, but the experiences that have really stuck with me, transformed me as a traveller, and made me grow as a human being have been at a much more grassroutes level. It’s living or staying with an Indian family, exploring the jungles of central India, volunteering at a yoga ashram, seeing some of the incredible birds and wildlife … and generally getting out of the cities and main tourist hot-spots to explore rural and wild India. From my own travels, from reading others’ blogs, and from attending the Outlook Indian Responsible Travel Awards and Summit for two consecutive years, I have learned there’s a lot of scope for having responsible tourism experiences in India. And more and more are coming up all the time. And if you look at the long list, short list, or winners of the Indian Responsible Travel Awards, you will find some more great companies and organizations offering these types of green holidays in India. 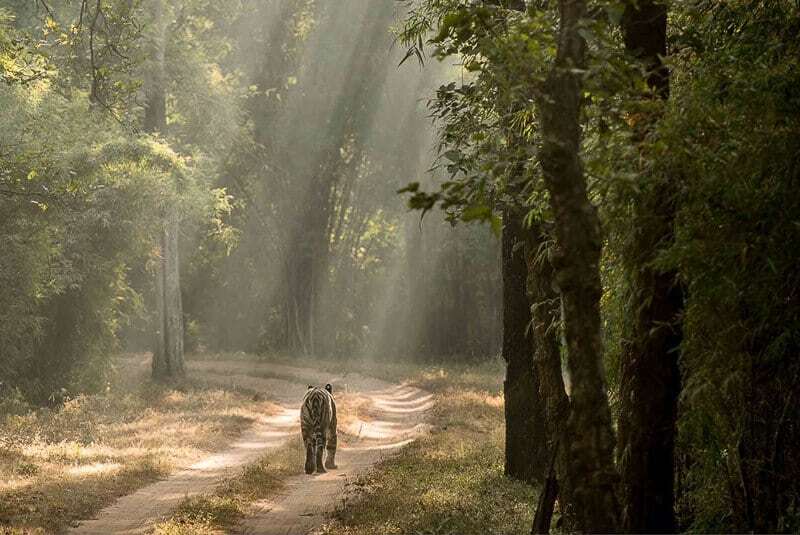 India has a huge potential for wildlife tourism. There are 103 national parks, 50 tigers reserves (governed by the National Tiger Conservation Authority) and hundreds of animal sanctuaries. 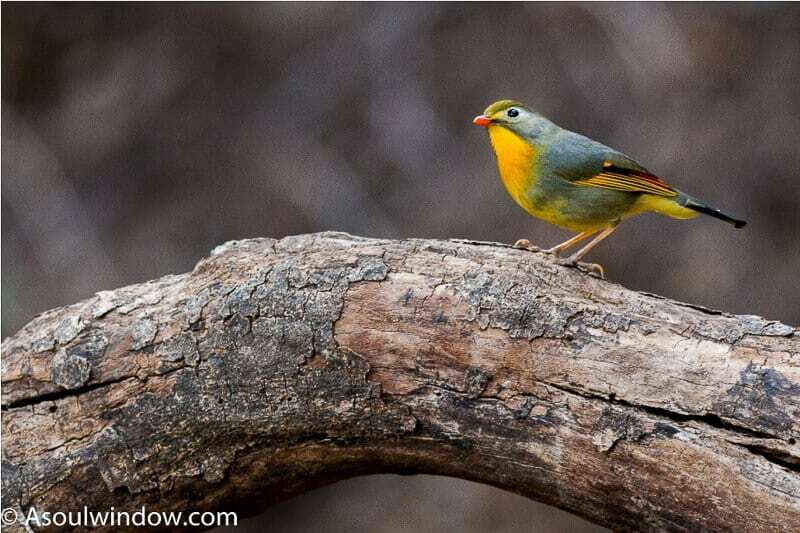 Many parts of India are a birder’s paradise, perhaps especially the lower Himalayas. About 70% of the world’s wild tigers are in India. India is the only country on earth with lions, tigers, and bears. Plus, the country is home to the one-horned rhinoceros, barasingha swamp deer, Asian elephant, elusive pangolin, Gangetic dolphin, gharial, snow leopard … and so much more. Wildlife tourism in India is a vast subject, and I have just begun to explore it. There are parks and sanctuaries in every part of the country, each featuring different and unique flora and fauna. Wildlife conservation in India has had some recent success stories, with the snow leopard’s removal from the endangered list, the comeback of the barasingha hard-ground swamp deer, thanks to a captive breeding program at Kanha National Park, and the number of wild tigers almost doubling in the last 10 years, from 1,411 in 2006 to 2,226 in 2014. 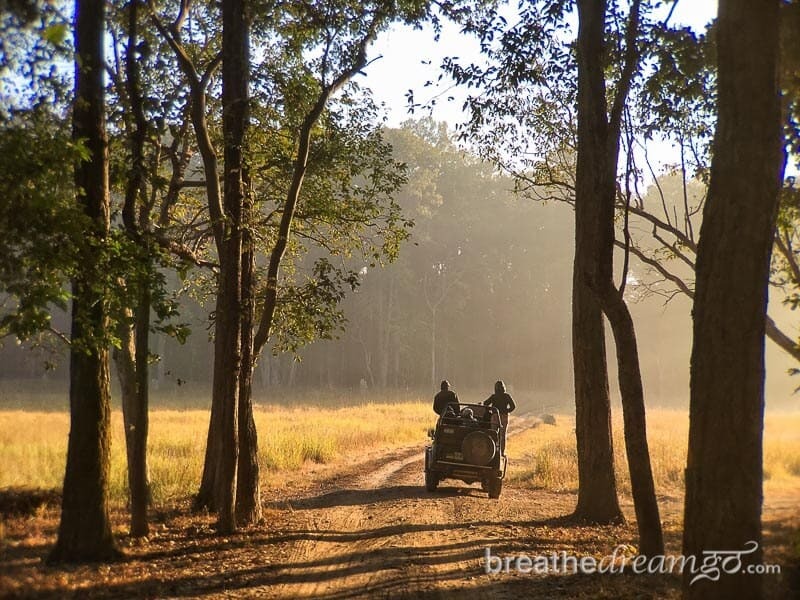 Here are some posts on Breathedreamgo about my travels in tiger country. When I first started travelling in India, I stayed with an Indian family in Delhi and continued to live with them, on and off, for several years. Living in community with an Indian family gave me a unique window into the culture, and completely changed the nature of my travels. As a consequence, I’m a huge believer in staying in locally owned homestays, guest houses, and community-based accommodation both because it gives you a more authentic experience of the culture, and also because the money you spend benefits the local community. 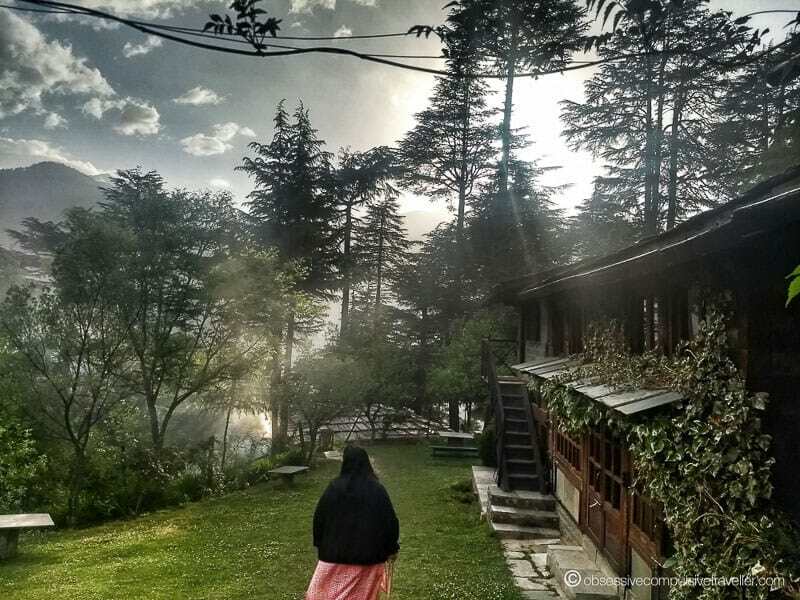 I wrote about my love for homestays and Prakash Kutir, the guest house in Hauz Khas, Delhi that I always stay in, and you will find many of the travel bloggers who contributed to this post also mentioning their homestay experiences. Many people travel to India for yoga of course, and also for other wellness experiences such as meditation retreats and Ayurveda treatment. This type of travel can also be considered responsible travel and I’ve spent a lot of time in yoga ashrams and at Ayurvedic centres. Please look at the Wellness category on my website and my series on Aurovalley Ashram, which is near Rishikesh in the Shivaliks (foothills of the Himalayas). India is an up-and-coming destination for adventure travel. You can find trekking, mountain biking, skiing, white-water rafting, ziplining, and many other options throughout the country. The Himalayas is a particularly great region for trekking, which I wrote about here in Walking in the Himalayas. I’m going to un-jeep you,” says Vanghat owner Sumantha Ghosh. There is no place quite like Vanghat. You have to walk several kilometres, and cross the Ramganga River on a makeshift raft, to get there. A former village, Vanghat is on the banks of the Ramganga River, completely surrounded by the forests of the Corbett Tiger Reserve buffer zone, with no roads in site. When you go on safari at Vanghat, you walk. The secluded location immersed in the Himalayan foothills, the walking safaris, and the rushing river are just a few of the reasons to visit. I found the charming cottages to be very comfortable and the homemade, local food to be very delicious. I was also very impressed with many of measure Sumantha takes to make sure his property is sustainable, such as boiling water for hot bucket baths, interfering with the indigenous wildlife as little as possible – one night when I was there an elephant strode through the camp, breaking – hiring local staff, providing RO water, using biodegradable toiletries, and serving dishes made from locally sourced ingredients in the open-air dining room. Vanghat is an especially good place for birding and for fly fishing. I don’t fish, but when I was there I took a book of Jim Corbett stories from the lodge library. 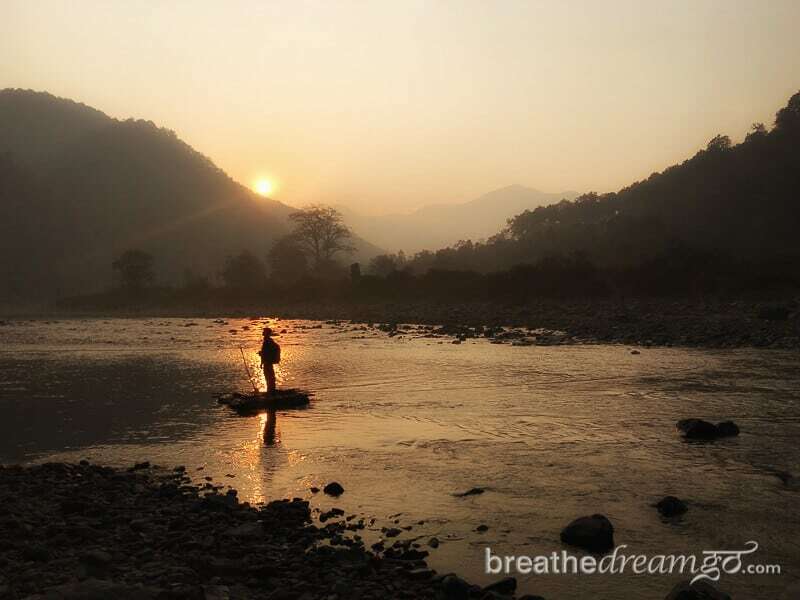 I have a wonderful memory of sitting in a cane wicker chair beside my cottage, watching a flock of parakeets in the trees, and reading The Fish of My Dreams … a story about an incident that took place on the very river, the Ramganga, that rushes past Vanghat. 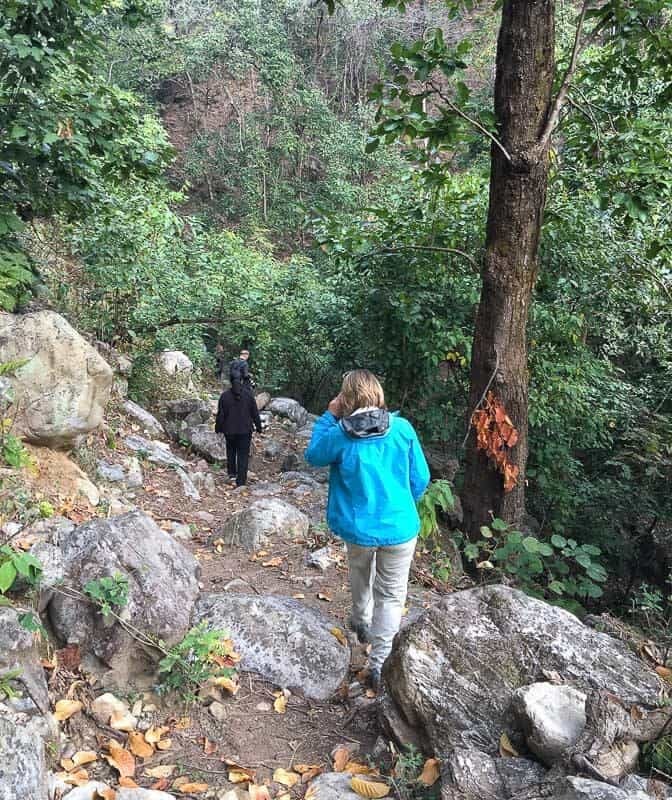 Our morning walking safari is another great memory – especially when we saw signs of a possibly-nearby tiger, and later stopped for tea at a waterfall. 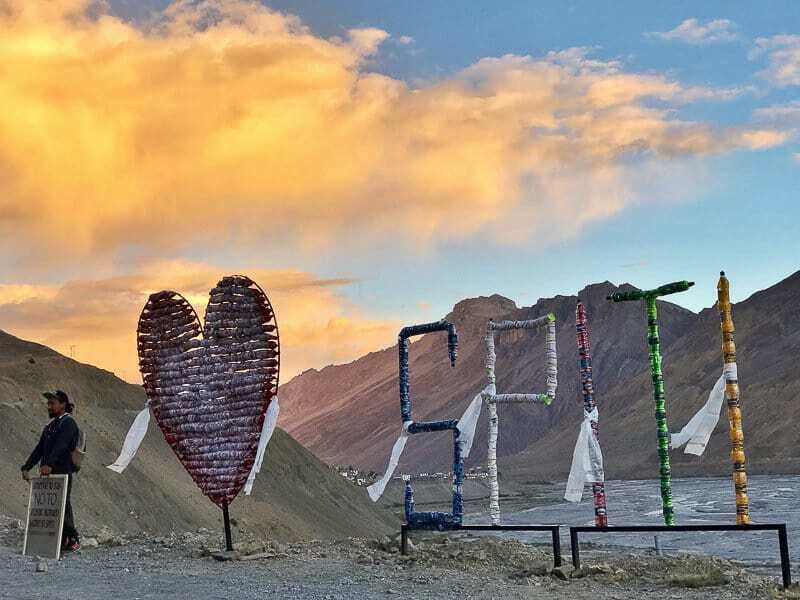 On my first solo trip in 2011, I spent a month volunteer-travelling in the spectacular Spiti Valley, with Spiti Ecosphere, a social enterprise that equal focuses​ on the planet, people and profits. It was my earliest introduction to responsible travel, and made me realise both: how our travel choices can impact local communities, and how interacting closely with the local culture, food and way of life can change us as individuals​. One week after I left Spiti, I decided to quit my full-time job and gradually began my journey as a digital nomad, writing about sustainable travel around the world. This year, we plan to install public filters across Spiti​, as well as create a comprehensive map of Kaza mapping out local businesses that offer filtered water refills. If the stark, barren, breathtaking beauty of Spiti doesn’t put our travel choices in perspective, I don’t know what will. 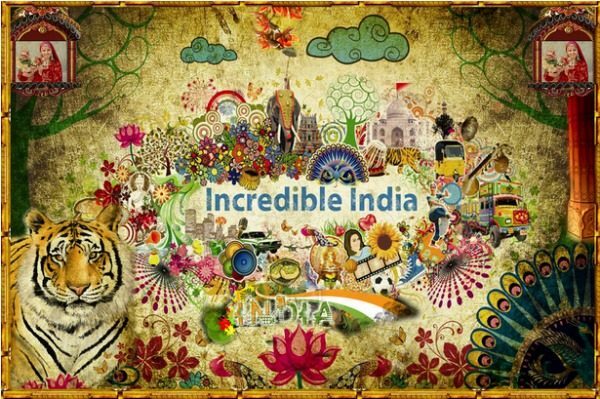 Note: Shivya shares a list of sustainable tourism locations in India in this blog post. Take a look for some additional ideas with organizations such as The Blue Yonder, India Untravelled, Evolve Back, Green People and more. 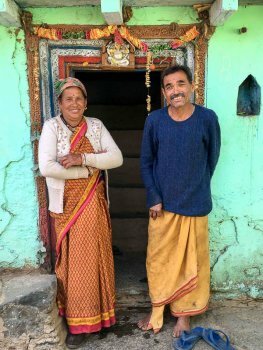 When I’d travelled in a remote region in Garhwal with Fernweh Fair Travels, I was impressed with the homestay they ran that employs widows from the village, to enable a sustainable livelihood. A local NGO supported by the homestay family helps with the school activities in the nearby village. On our explorations, we ate food in village homes that are a part of Fernweh Fair Travel’s empowerment project to supplement local incomes. We also saw handicrafts made by the “untouchable” community that are on sale to provide extra income. This initiative is part of the NGO’s sustainable tourism program – to both bring in more money and teach responsible travel concepts. 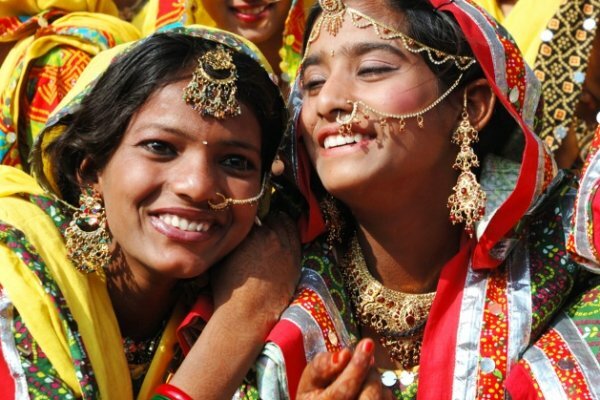 Migration to the cities is a big problem in the Garhwal region of Uttarakhand and therefore responsible tourism that benefits the locals is a great tool to being change and enable the locals to live in the villages and maintain the traditional way of life. By: Shubham Mansingka is a professional travel blogger from India and blogs who TravelShoebum. Located close to the touristy town of Nainital, Sattal in Uttarakhand is still a secret destination. However, it is quite popular with birdwatchers from around the world. More than 500 species of resident and migratory birds call it home. Since Sattal is still not commercialized, it provides a safe haven to not just the avian species, but also to more than 500 species of moths, butterflies and insects. The local guides have trained themselves to cater to the ever-growing footfall of birdwatchers. My visit to Sattal taught me that it is done with strict guidelines and respect for the nature. The self-regulated discipline of the birdwatchers combined with the ecologically sensitive guides make it a perfect model of responsible Tourism. Some guides and hotels have set up bird feeders or ‘hides’ which attract more than 30 species of birds every morning and evening. I think it’s a responsible way of clicking and observing the various avian species without disturbing their routine, habitat, and natural habit. At a fragile place like this, hotels and lodges offering eco-friendly stay options have come up. My only fear is that more hotels and tourists, none of which have any understanding of wildlife and environment, might ‘discover’ Sattal. Precautionary measure must be taken and it should be declared a protected Sanctuary or else we stand to lose fresh air, fresh water and colorful birds dashing through the dense green foliage. By: Abhinav Singh is a travel blogger who runs A Soul Window. Nestled amidst lush forests, the Sonaugi homestead is a heavenly home for a quiet retreat in the mountains. Laced with the snowy mountains and Deodar trees, it embodies the idyllic home in the hills. Rooted in the traditional Himachali ‘Kath-Khuni’ style architecture using stone, wood and mud, it is perfectly in tune with the ecosystem around it. No trees have been cut to construct this beautiful home: It was built using recycled wood from old houses and uprooted trees. The man behind this artistry is Mr. Eris, an Italian known across the valley for his expertise in traditional Himachali architecture. 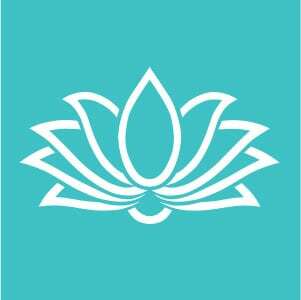 The humble hosts – Ashwini Tripathi and Vivek Sharma – will ensure your stay is exciting and comfortable. They will pamper you to your heart’s content in a way that it will remain an unforgettable experience. You can go on a hike through the forest or visit nearby villages or you can sit by the garden to soak up the views. You can retreat into a quiet corner by the attic, or warm up at the ‘Dhuna,’ a traditional fire pit in the main sit-out lounge. At Sonaugi you will relish meals made from the farm, plus you can pick up local produce from the villagers to take back home. The friendly dogs, Goldie and Jackie, will shower you with their unconditional love and the warm aura of this place will stir your soul so much, it’s a place you will want to return to. As you bid goodbye, you are sure to leave behind a part of your heart. By: Divya Prasad is a writer, travel blogger and Sacred geometric artist living her little dream in the Himalayas. She publishes ObsessiveCompulsiveTraveller, a hearty life collective of folklores, mountains, culture, indigenous tribes, art, spirituality, people and transformational travel experiences. Perhaps it comes as no surprise that a state otherwise known as “God’s Own Country” has much to offer to travellers, for those in search of beaches, jungle retreats, watching life on the waterways go by, or those keen to try their luck at spotting elephants or even tigers in India. 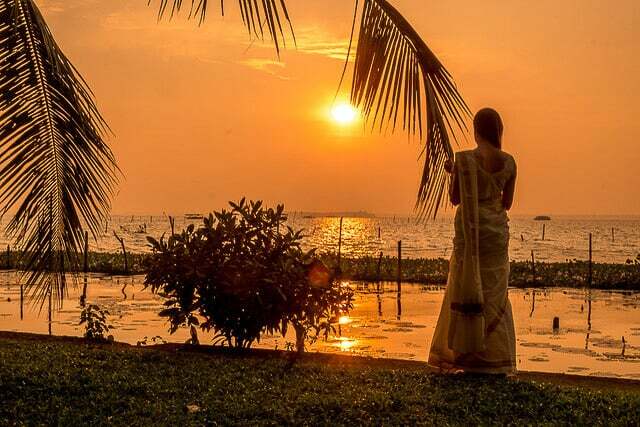 Kerala has much for the conscious traveller too. In fact, Kerala is the first state to have an official “responsible tourism policy” in India. 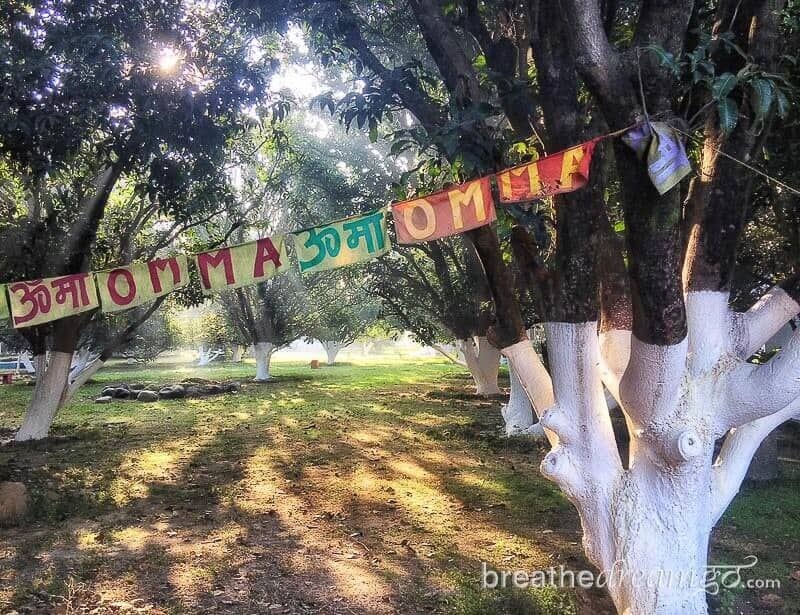 Kerala has a growing number of eco-friendly lodges and resorts, small homestays run by locals where you will be overwhelmed by the delicious home-cooked food as much as the friendly welcome, and plenty of tours and initiatives where profits are reinvested directly back into the local community, as we found out this winter. To avoid the crowds that congregate in some of Kerala’s hotspots we suggest diversifying your itinerary away from Alleppey, Munnar and some of the more popular beaches. One of our favourite places to visit was Coconut Lagoon in Kumarakom, which was one of Kerala’s first responsible tourism projects. It’s the perfect place to sit back as the sun sunk below the lapping waters of the lagoon, Gin Fizz in hand. We recommend staying next to the backwaters rather than going on a houseboat, due to the overcrowding and environmental issues the houseboats create. Grassroutes journeys is a one-of-a-kind company that organize eco-experiences in rural villages and helps empower communities through sustainable travel. Fireflies is one of their special journeys. Once a year, in May, you can go to Purushwadi (located about 180 kilometres from Mumbai, in Ahmednagar district) and camp in the midst of nature to witness the magical sight of a million fireflies lighting up the village. With Grassroutes, you will also indulge in simple meals at village homes. These little acts of meaningful travel can contribute to the lives of these tribal communities. What’s more, there’s no better way to enrich yourself and others along the path. Read about my experience with Fireflies. In the past, when the men of Adi Tribe used to go on hunting expeditions in the dense forests of Arunachal Pradesh, they had to travel quick and light, which meant they carried no vessels or food supplies. Everything for the meals was sourced from the forest: bamboo stems to cook, fishe and meat to eat, and leaves to serve. A few years ago, I had a similar lunch with the Adi Minyong Tribe in their field surrounded by a ring of mountains, as part of a tour organized by a socially responsible tourism venture called by Kipepeo. Three men prepared delicious cooked food over fire in five hollow bamboo stems stuffed with rice, fish (hilsa) and meat (chicken) that was wrapped in ekkum (phyrnium, a banana-like plant) leaves, and water. Food was served with bamboo spoons on fresh banana leaves. The local wine, Apong, was served in hollow bamboo stems. As we left, the dogs cleaned up the leftovers – nothing went to waste. To constantly hear about sustainability as a buzzword is one thing but to actually witness a live example of zero-waste policy was beyond inspiring and enlightening. By: Neelima Vallangi is an itinerant freelance travel writer and photographer from India, see more stories from her at TravelWithNeelima. Purna Limboo and I were hiking through the dense forest in west Sikkim when he suddenly became silent and pulled out a sharp Khukri (a Nepalese knife similar to a machete, used as a weapon). Even though I stood my ground, I have to admit that I felt a chill going down my spine. “We have to clear some of the dense bush to keep moving,” he said unaware that I had just moved from a state of panic to relief. I was staying in Darap village, and Purna, who is from the local Limboo tribe, was my guide for the day. He had studied English honors from Delhi University, but after struggling for a good job he returned to pursue cardamom farming. His knowledge of indigenous birds, villages, crops and forest herbs also helped him find an alternate income source in same village. We started hiking from Darap village to Rani Dunga, a hill top sacred to local tribe. Enroute, we crossed traditional mud houses with thick and heavy wooden doors and thatched roofs, black cardamom plantations, and splendid views of Mt. 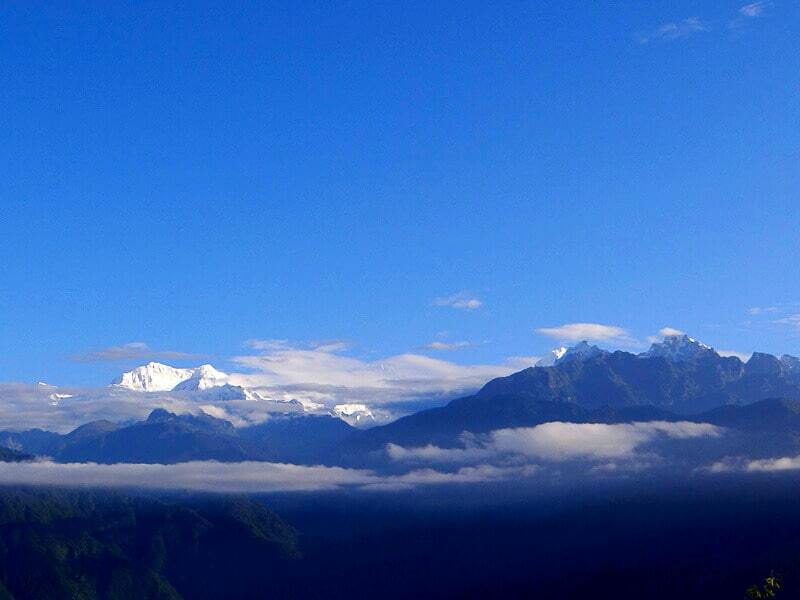 Kangchenjunga and valleys that lead to Tibet. We also came across a burial ground of Limboo tribe where altar stones had engravings in local language that had its own written script. I stayed at a traditional village home which had all facilities such as delicious home-cooked food, western washrooms, cozy beds and a family with friendly pets to welcome. Contrary to the notion that homestays do not have basic facilities, I was living quite comfortably in a log cabin made with salvaged wood. We could easily stay in the village even if we were a larger group. No plastic bottles were used. Food was sourced either from the family farm or taken from neighbors on barter making the holiday fully sustainable. From here, I made day trips to Yuksom (first capital of Sikkim), Khecheperi Lake, Rabdentse ruins (second capital of Sikkim), Pemayangtse and Sanga Choeling monastery. I even cooked a meal with the family one evening. 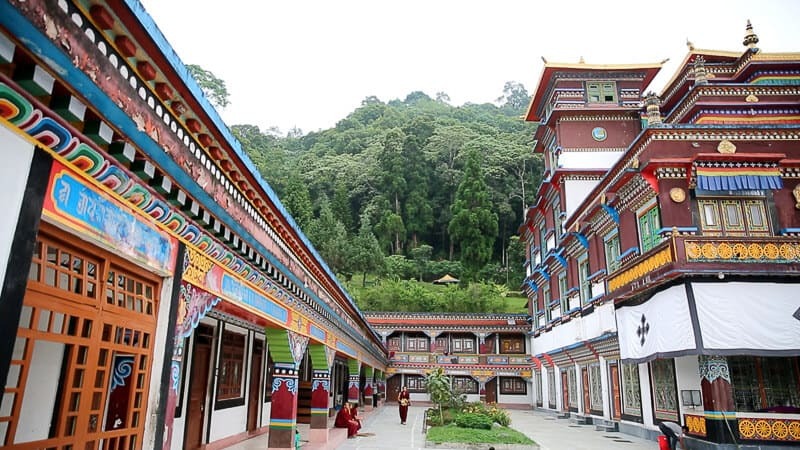 While you are on a tour of Sikkim, stop here for two to three days to experience local life first hand. Purna walked leisurely, while I puffed my way through the forest. We were just minutes away from reaching our destination when Purna stopped again, became eerily silent and pulled out the Khukri. But this time I knew why. 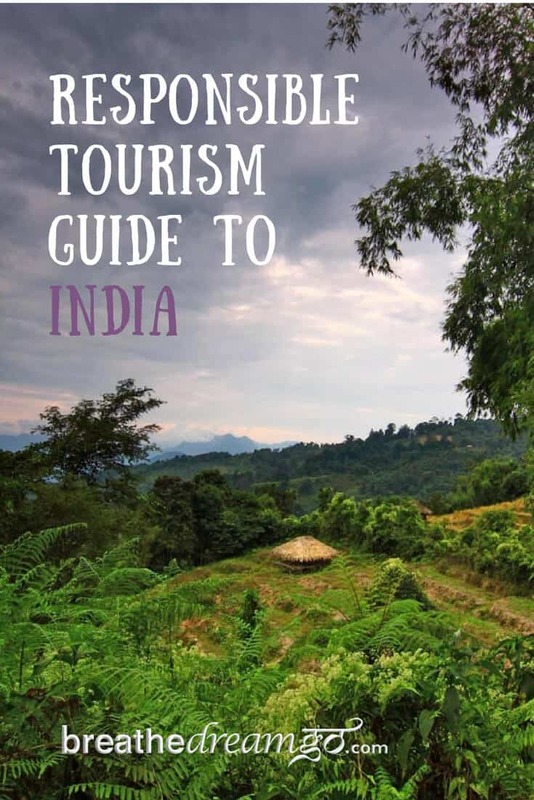 By: Gaurav Bhatnagar and the award winning The Folk Tales help organize responsible tours in India since 2013. Clacking looms and chirping birds are the only regular sounds amongst the blue walls of Mr. Maipakchao’s homestay on Loktak Lake in Manipur. 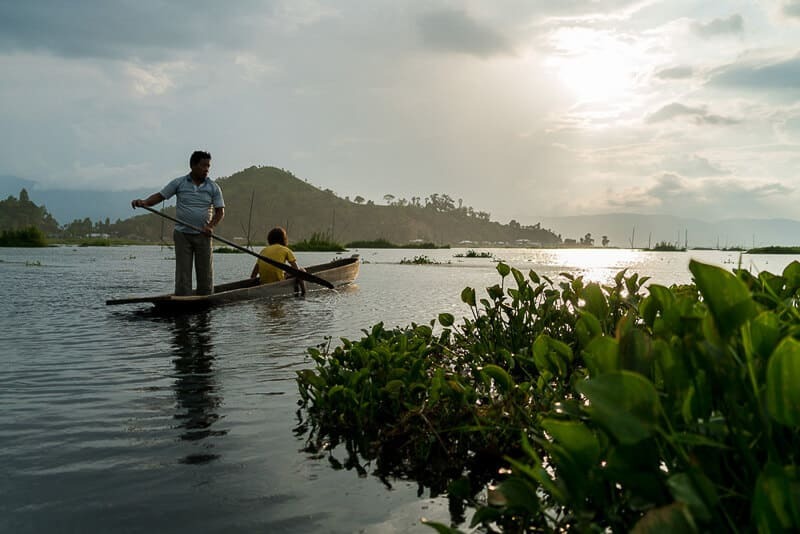 Despite Manipur’s dangerous reputation, the lake is incredibly peaceful, and Mr. Maipakchao is the man to meet in the area. A champion of efforts to clean and clear the lake, which is choking from an excess of phumdis (floating islands of plant matter) and increasing pollution levels, he is also happy to show visitors around his home that he so loves. He told me of Loktak’s woes while floating across its waters in a wooden longboat, and about his cleaning and education efforts over tea and mangoes that fell from his tree. And while watching sunrise from a hilltop overlooking the lake, we discussed the promising future for this lake and this region. If you’re looking for a responsible homestay in an often-overlooked part of India, Mr. Maipakchao’s homestay on Loktak Lake is it. 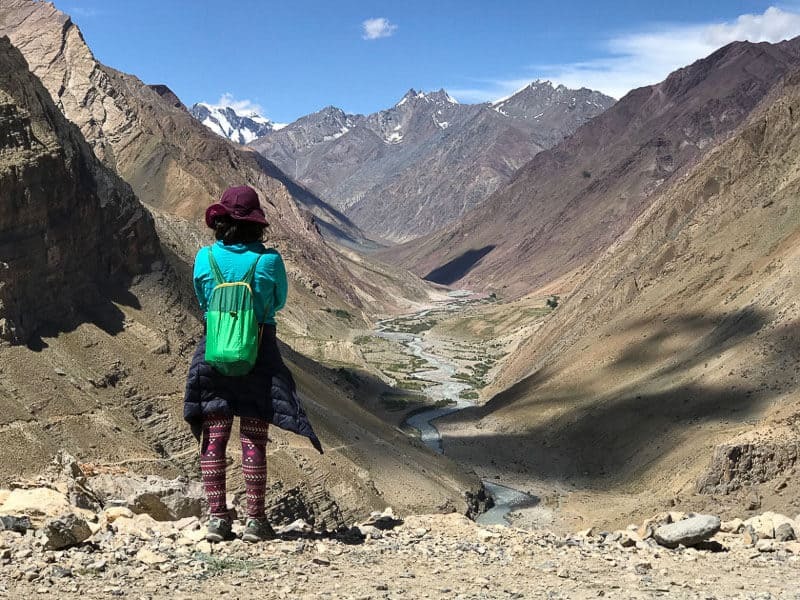 By: Alex is a solo backpacker who alternates between blogging at Lost With Purpose and eating her weight in kulfi falooda, depending on the moon’s position. 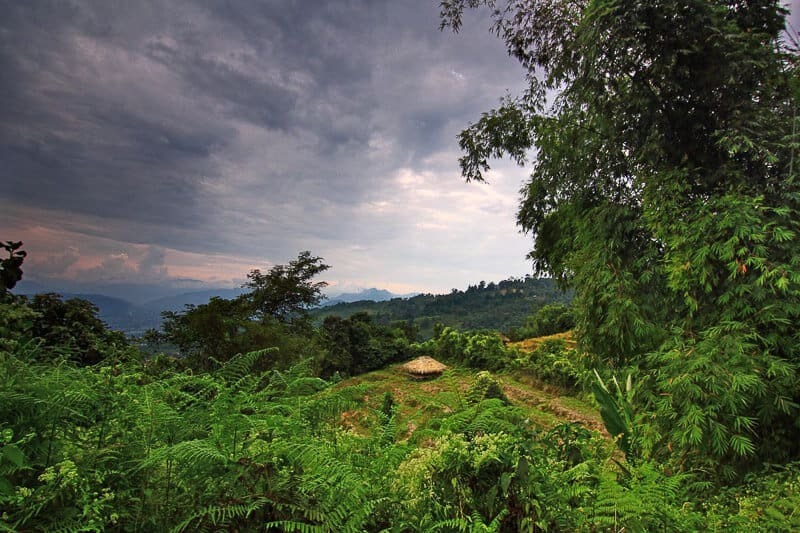 ImpulseEmpower Travel can be found in the forest reserve of Panbari, a remote and quaint village located on the other end of the Kaziranga Forest. 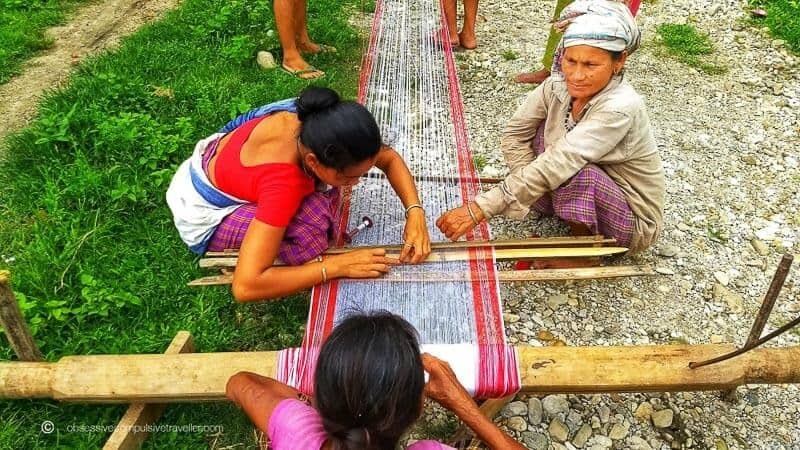 Conceived by Hasina Kharbhih to empower women through traditional weaving and arts, this initiative has provided a sustainable livelihood for local tribes, such as the Mishing, and rescued many women from the evils of prostitution and human trafficking. ImpulseEmpower aims at empowering these communities by presenting their arts and crafts on international platforms. Read about the Mishing weavers.